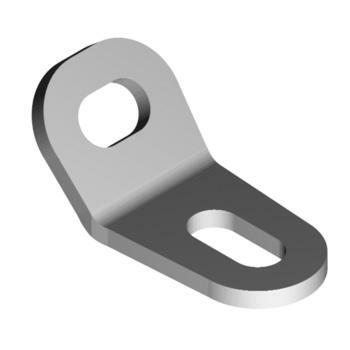 SA429 60 degree bracket for 40mm Spirafix Ground Anchors for tethering applications. Bracket has 2 x 12mm slots. For this bolted connection bracket (ie NOT a 'through slot' type bracket) you'll need M12 bolts.